We’re counting down the minutes to the start of Google I/O in San Francisco (the opening keynote starts at 9 a.m. PST), but it looks like the sign-up page for the new and improved Google Maps has already made an appearance online before getting pulled. Thankfully, DroidLife got an eyeful of the upcoming changes to Google Maps before the page disappeared, so here are some new details about the revamped service. As we reported last week, and as you can see in the images from the sign-up page, gone is the left vertical sidebar that used to list your addresses and directions to make way for full-screen maps. 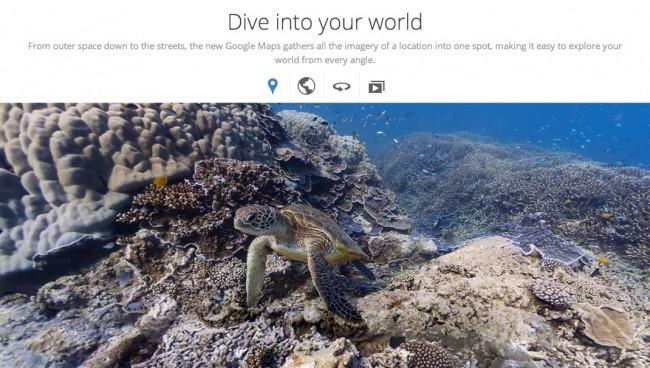 But the sign-up page actually revealed many other features that we were not expecting in this next-gen Google Maps. 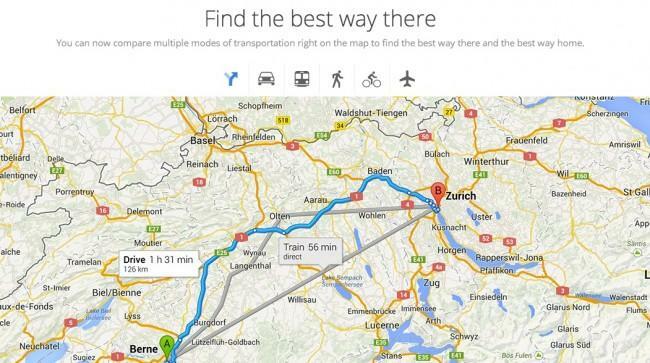 One of the first features the page made a point of highlighting is Google Maps’ ability to provide a “tailored map for every search,” which suggests its ability to learn from your searches to give you more relevant results. As you can see below, the new floating search box lists everything from destinations to ratings to reviews as you search. One of the other features we didn’t expect to see in this iteration of Google Maps is the integration with Google Earth. If the information on this page is real, then you’ll be able to access Google Earth images from various locations around the world through Google Maps, without any additional plug-ins. To help us plan travel more efficiently, it looks like Google Maps will let us compare different modes of transportation (air, car, public transit, foot, taxi etc.) so we can determine the best route to take, as you can see below. It’s hard to say just whether this leaked sign-up page is the real deal or Google’s just taking us for a ride. 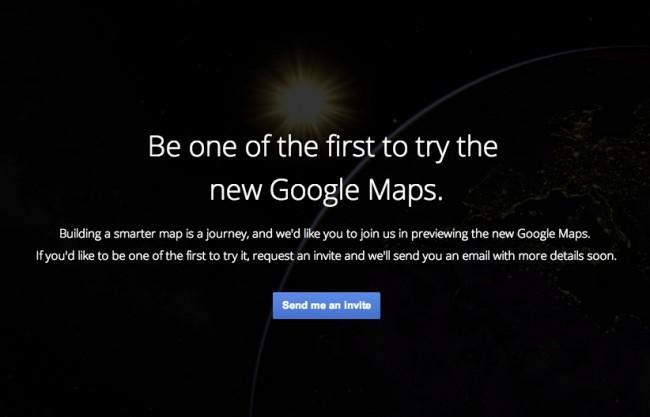 We’ll find out soon enough whether any or all of these improvements will really be coming to Google Maps. Which feature are you most excited about?